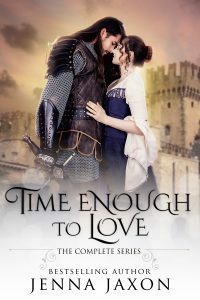 It’s week nine of our first encounter theme for Medieval Monday and this week’s guest is Jenna Jaxon with an excerpt from Time Enough To Love. Isn’t this cover just gorgeous? So swoon worthy! Happy reading and enjoy, my lovelies! 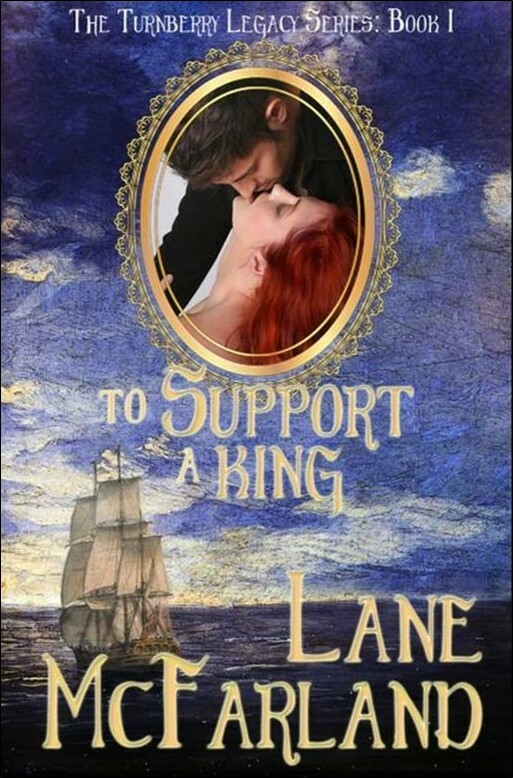 Laughter and applause washed over Alyse, who was struck absolutely dumb at the touch of his lips to her skin. Her heart pounded, and a strange roaring sounded in her ears; she wondered vaguely if she were about to faint. Don’t swoon! Find out if Alyse did next week at Ruth A. Casie‘s blog. 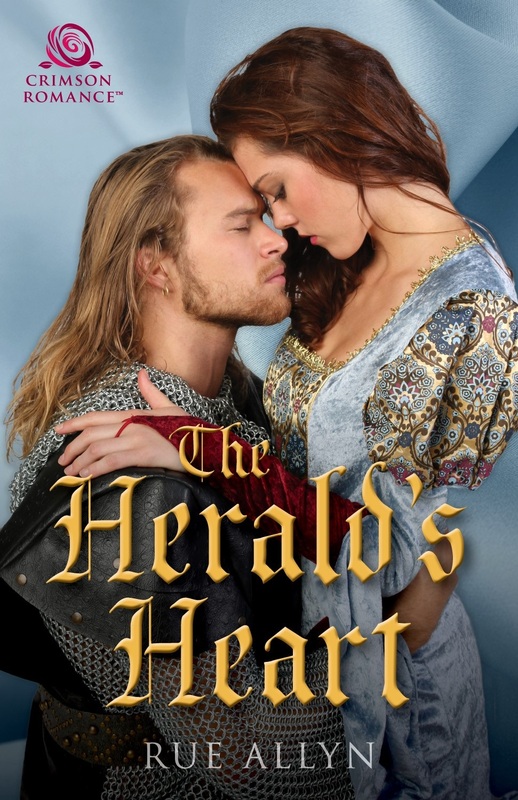 Medieval Monday with Mary Morgan & a Giveaway! 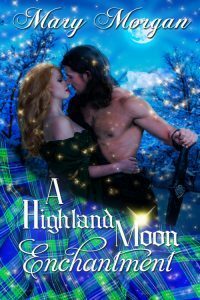 It’s my pleasure to welcome back my friend Mary Morgan who will share her next snippet from A Highland Moon Enchantment. Be sure to read to the end to be in the running for Mary’s giveaway. It’s Medieval Monday after all… Enjoy! Alastair released his hold on the druid. “Please dinnae pay homage to me.” He reached down and helped her to stand. 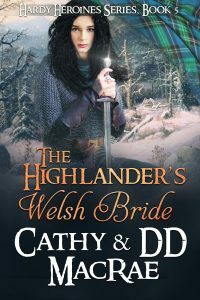 Follow along next week on Ruth’s blog http://ruthacasie.blogspot.com/ and leave a comment for chance to win a signed print copy of A Highland Moon Enchantment. Welcome to another Medieval Monday, my lovelies. 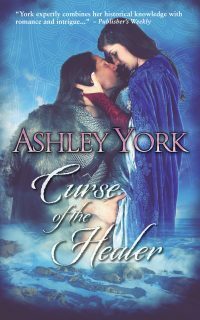 This week it’s my pleasure to welcome back Ashley York who has her next snippet from Curse of the Healer. Enjoy and happy reading! The scents around her were overwhelming and she closed her eyes again, breathing it all in. The dampness of the soil. The honeysuckles behind her. The leather of the belt wrapped around the man’s middle. When she opened her eyes, he was watching her. Intently. She swallowed more of the refreshing liquid. “Mmm. Dark.” Heat pooled in her belly. The slightest flick of his brow and the trace of a smile as he dragged his thumb along his lower lip. A speculative gesture. His gaze traveled lower. 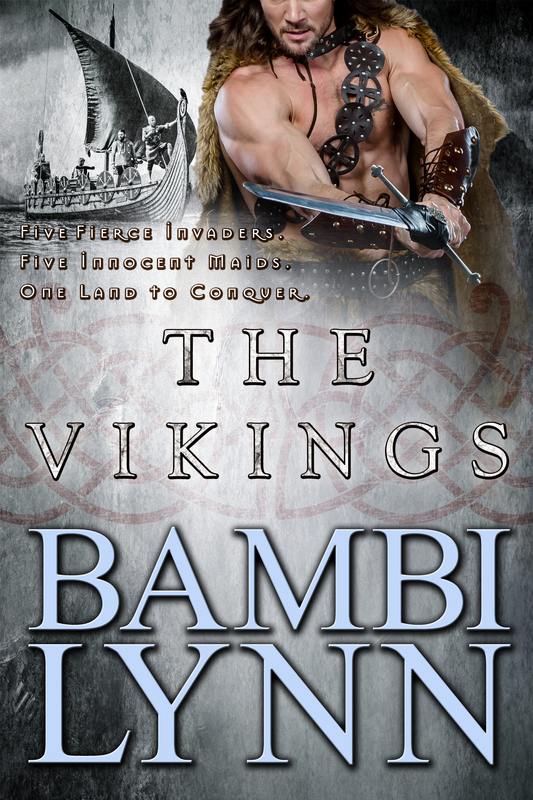 After the death of Brian Boru in 1014, a legend arose of a healer so great she could raise a man from the dead, with a power so strong it could make any warrior the next high king of Éire…and to steal it away from her, he need only possess her. Diarmuid of Clonascra is renowned for his bravery in battle. Only one thing daunts him: the prospect of taking a wife. The safest course would be to keep his distance from Aednat, the bold, headstrong healer who’s far too tempting for his peace of mind. But his overking orders him to protect her from a group of craven warriors intent on kidnapping her to steal her power. What starts as duty for Diarmuid quickly transforms into something more. Aednat’s power might be at risk, but so is his closed-off heart. Follow me over to Ruth A. Casie’s blog next week to read what happens next! Welcome to another Medieval Monday. 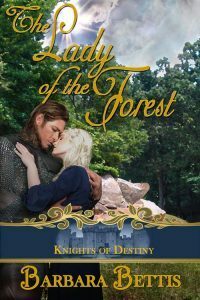 It’s my pleasure to welcome back Barbara Bettis who has her next snippet from The Lady of the Forest. Happy reading, my lovelies! Kate shoved the pallet against the wall and gave it one last test. The flat, wooden base seemed solid, placed atop three barrels. The raised surface made easier access to the prisoner. Jamie ducked into the hut, dragging the door open. Behind the boy came Oscar and Sam’l, bearing the unconscious knight. “Please remove his chain mail, then put him there.” She nodded toward the makeshift bed. The two dropped him on the floor. Welcome to week four of Medieval Monday. 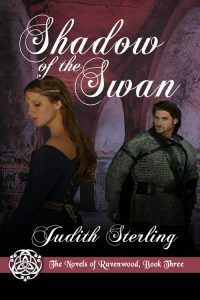 Our first meet theme continues and today’s guest is my friend Judith Sterling who has an snippet from Shadow of the Swan. Be sure to read all the way down to be in the running for Judith’s giveaway! Happy reading and enjoy! God be praised! She crawled out from under the table, stood, and met the steel-gray gaze of her savior. ’Twas one thing to be handsome; the knight before her took it entirely too far. He appeared to be in his late twenties and was clean-shaven, with strong features and straight, jaw-length black hair. Tall, broad-shouldered, and clad in blue, he cut a striking figure. Yet something indefinable struck her more. The longer she stared into his eyes, the more familiar he seemed. They’d met before. Shrouded were the details, but a link existed…invisible and ever fixed.